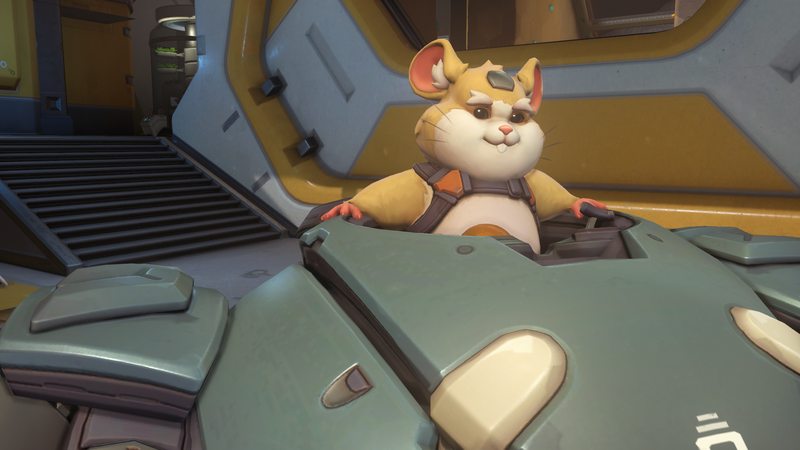 Wrecking ball, also known as Hammond, is a tank hero in Overwatch. Players latched on to Hammond much like they did for Doomfist. Blizzard scattered his name across the Horizon Lunar Colony map—the promise of a second monkey that got off the moon. But as it turns out, Hammond wasn’t a monkey after all. He’s a hamster. He crash landed in Junkertown, and is called “a resourceful tinkerer” by Blizzard. Here’s what to expect from his kit. As for how he’ll play in Overwatch, Blizzard called him an “aggressive bruiser” that’ll be perfect to bully the enemy’s backline. “He excels at disrupting enemies’ positioning with his Roll and Piledriver abilities while also posing a serious threat if he’s left alone to train his Quad Cannons on key targets,” Blizzard wrote. Rolling into teamfights will allow him to start fights, but he can get out, too. He appears to be a high mobility hero that’s going to shake up Overwatch’s metagame seriously. Hammond became one of the more intelligent animals on the moon, but his small size allowed him to escape often. During his escapes from his room, he tinkered away, learning the skills of a mechanic. When the moon uprising occured, Hammond hitched a hide on Winston’s escape pod. Hammond broke off and landed in Junkertown. He modified the escape pod to create his spherical mech, where he became Wrecking Ball—and the champion of the Scrapyard. And he battled in Junkertown for a while, but no one knew he was actually a hamster. He eventually left the Australian Outback. His whereabouts now? We don’t really know. Apparently he’s pretty good friends with Winston, but Winston isn’t aware that Hammond crash landed on Earth. Oh, and he can’t speak English, but his mech does have communication abilities.